Welcome! Therapy can be scary as you are walking into the unfamiliar. Life’s struggles, does not discriminate. Everyone can benefit from therapy is some way or another. To grow stronger in every aspect of life, we need to discuss our struggles; doing this will help allow the blessings that are meant for you come into your life. I commend you on coming this far in taking the first step towards a better YOU! I have over 10 years of experience in the counseling field. 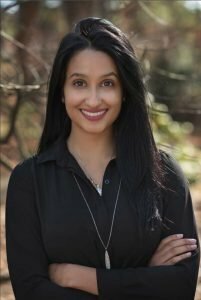 I am a well rounded clinical professional that has worked in all branches of counseling; these include being a school counselor in an urban school district at the high-school level, lead as the director at a methadone clinic, and providing in -home therapy for children with social and emotional issues. I hold a judge-free zone that really focuses on a client-centered approach. This is your time and I want to ensure our sessions are effective. Communication seems to be an antique thanks to social media and texting. Communication is the glue that holds all our relationships together. Often times this is why so many of our relationships with our friends, family, partners, significant others fail due to a lack of communication. Together we can work together to strengthen these communication skills. Life is beyond overwhelming. Life sometimes becomes more about paying bills then it does your happiness. At times it is as if we never see the light at the end of the tunnel. The stress of everyday life can spiral to other areas of our life such as depression, anxiety, panic attacks, drugs/alcohol, etc. Let me help you find stability in your life. I would love to be apart of your support system that becomes your biggest fan. My goal as a therapist is to make positive and successful changes in my client’s lives. I have a strong passion for what I do. Whatever your struggling with can be a part of your past. Start your healing journey today! I look forward to speaking with you and answering any questions or concerns you may have. You got this! !